Apple will begin preliminary builds of the successor to the iPhone 5 in March, setting up for an earlier-than-expected debut in June or July, according to a new report. Jefferies analyst Peter Misek said in a note to investors this week that two future iPhone prototypes are currently testing. 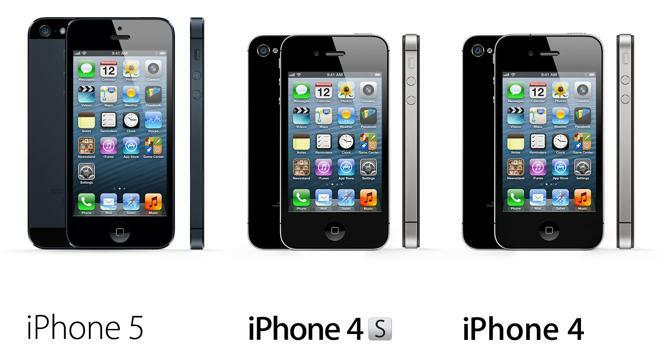 At least one of these is said to be a so-called "iPhone 5S," while the other could be Apple's rumored low-cost iPhone. Misek previously predicted in December that Apple will launch an incremental upgrade to the iPhone 5 this summer. He also believes the company's next-generation iPhone, referred to as an "iPhone 6," will sport a larger 4.8-inch display. As word of the "iPhone 5S" production begins to spread, Misek expects there to be a slight slowing of demand for the iPhone 5. He expects Apple to sell 44 million iPhones in the current March quarter  a number he noted is "still well above" recent concerns that shipments might be in the mid-30-million range. An assembly bottleneck that caused component inventories to rise in the holiday quarter. Planning for preliminary production of the next iPhone in March. Demand may be either in line or "slightly below optimistic expectations," Misek believes. While Misek expects Apple's next iPhone to launch sooner than expected in the June-July timeframe, he also believes Apple is separately planning a low-cost iPhone that would be geared toward emerging markets like China. Such a device may already have been greenlit, he said. "Similar to the iPad mini, we expect a concentrated low-cost iPhone rather than a 'cheap' one," he said. "Likely specs: polycarbonate case with 4" non-Retina display and no LTE." In his view, a less expensive iPhone would increase Apple's smartphone market share, but would also decrease the company's gross margins. He does not expect the rumored product to have much of an effect on the company's earnings per share.